Summertime means Grilling Fun in this house! And we love to try different Burger recipes whenever we can! The kids get to try a variety of new things without realizing they’re really trying it thanks to the “burger” look and feel. And the adults can to try some sizzling ideas that are DEEE-Lish! Think outside the box and you never know what you are going to come up with! 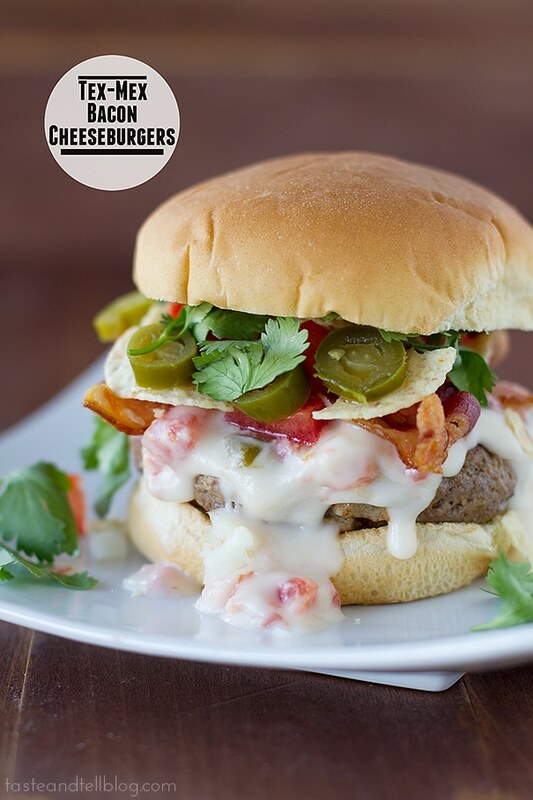 This Tex-Mex Bacon Cheeseburger found at TasteandTellBlog.com looks so amazing! A true burger in every sense, with a little Mexican flair! Yum! Looking for a fun Sunny-Side-Up alternative? 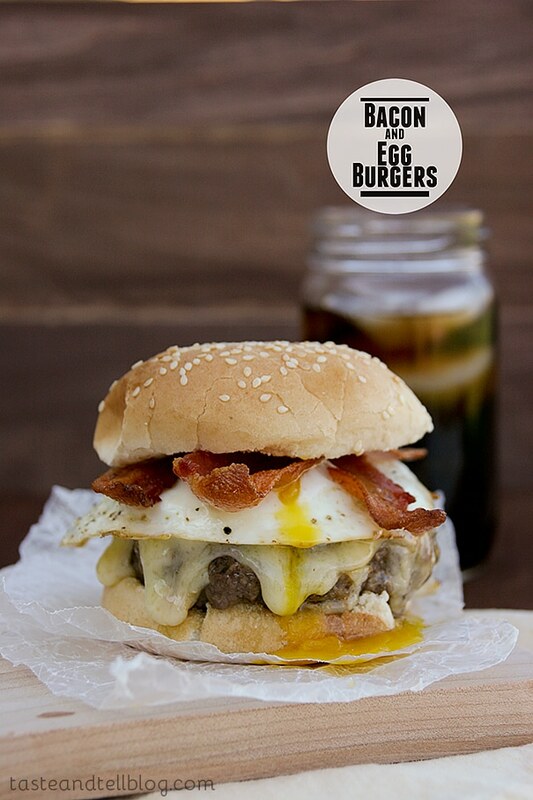 Look no further than this Bacon and Egg Burger from TasteandTellBlog.com! Oh my! Grilled Pineapple Burgers with Spicy Avocado Cream sound like a winner to me! This was found at PaleoMG.com and brings together some amazing flavors! I can’t wait to try this one the next time burgers are on the menu! Well now this is a completely new twist on creating a traditional cheese burger. 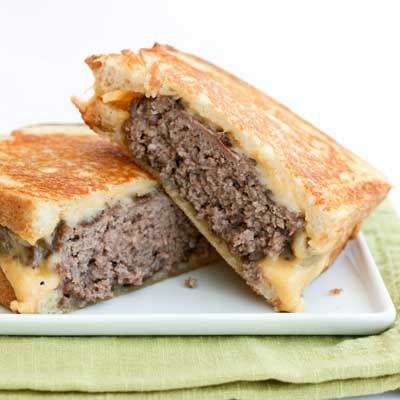 How about this awesome GRILLED Cheese Burger that was found on Pinterest? Oh my… My mouth is watering just looking at this picture! Jalapeno Popper Burgers?!?! Hello! Found at TasteOfHome.com, these will absolutely knock your socks off! Who doesn’t love a little kick every once in awhile! 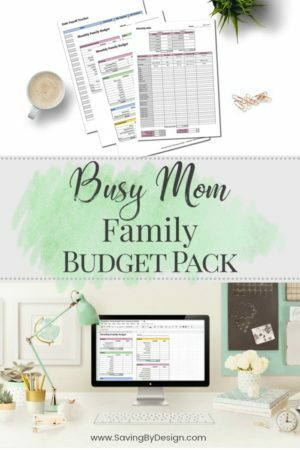 Looking for something unique that the kids can help put together easily? 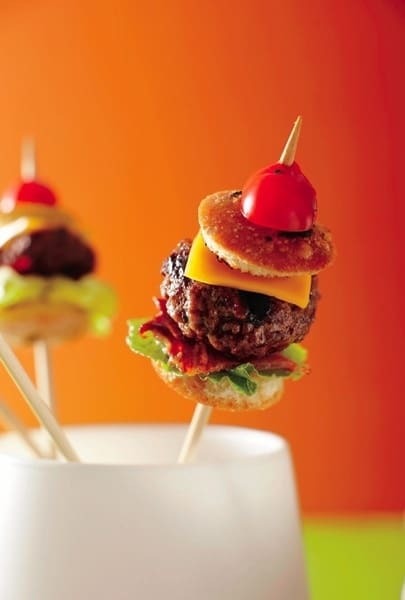 How about Cheeseburgers on a Stick, from Indulgy.com?!?! These fun little bite-sized burgers are sure to be a hit! Slammin’ Salmon with Garlic Dill Aioli, anyone? These little pieces of heaven were found at AllergyFreeAlaska.com and look EXCELLENT! If you love salmon the way I love salmon, these will definitely be on the agenda to make the next time you’re looking for a yummy salmon recipe! 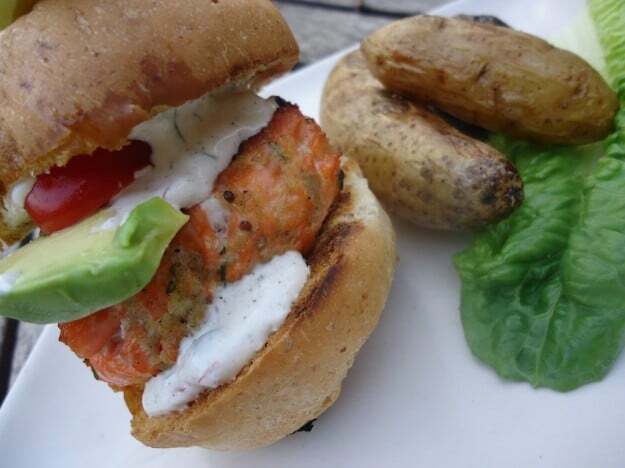 If you’re looking for a unique twist on burgers and have a fisherman in the house, you might want to look at these Grilled Trout Burgers, found at MarcusSamuelsson.com. Wow! 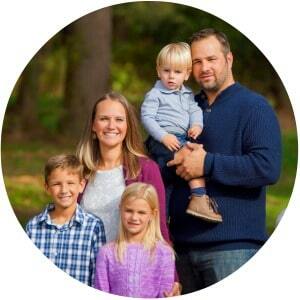 So I have a certain member of my family… no naming any names, dear husband of mine… that LOVES Gyros. So when I came across this Gyro Burger with Spicy Yogurt Sauce recipe on WearyChef.com, I KNEW it was going to have to make an appearance in the house soon. 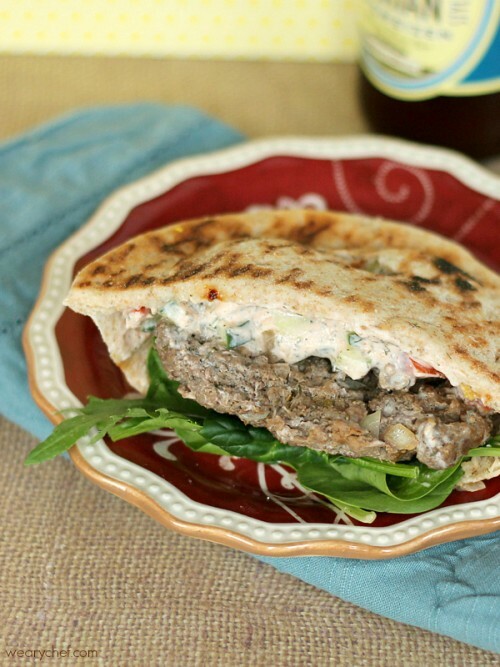 This burger with Greek-inspired flavors, and served in a Pita Pocket (AWESOME!) is sure to be a hit! 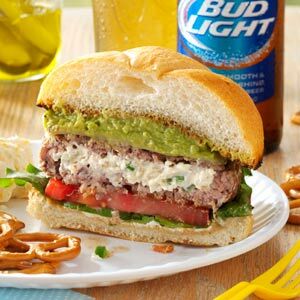 Some of us love some good veggie burger and turkey burger alternatives when the grilling starts. If this sounds like you, check out these recipes below! 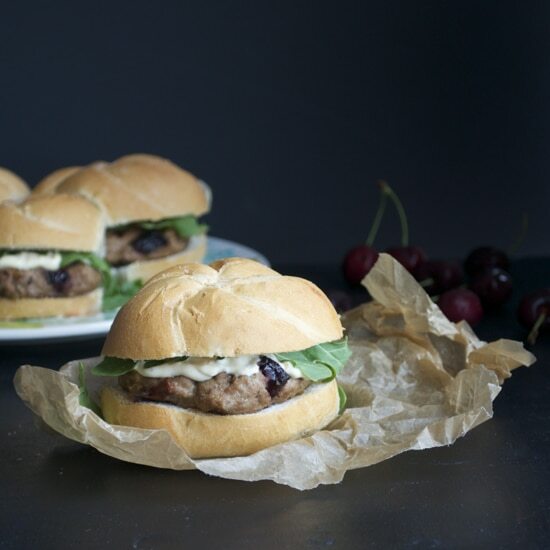 Turkey Burger with Roasted Cherries and Brie? Well, doesn’t that sound absolutely heavenly!!! Check out this awesome recipe at TasteLoveAndNourish.com. This recipe had me sold with the roasted cherries, but than add the Brie??! Done! Looking for a bit of a kick with your turkey burger? How about trying out this Salsa Verde Turkey Burger, found at ZipList.com! 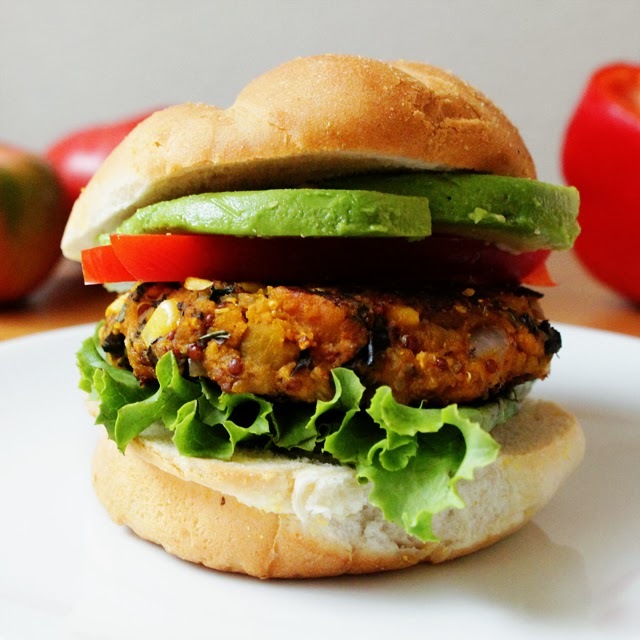 Black Bean & Winter Squash Veggie Burgers are a perfect grilling addition for those vegetarian friends and family who will make an appearance at your summer events! Found at Two-Tarts.com, the additions like squash, corn, and quinoa are sure to be tastebud pleasers! 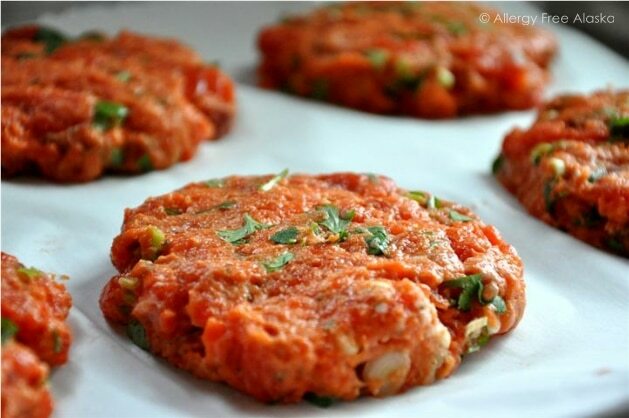 These turkey burgers look AHH-MAZING! 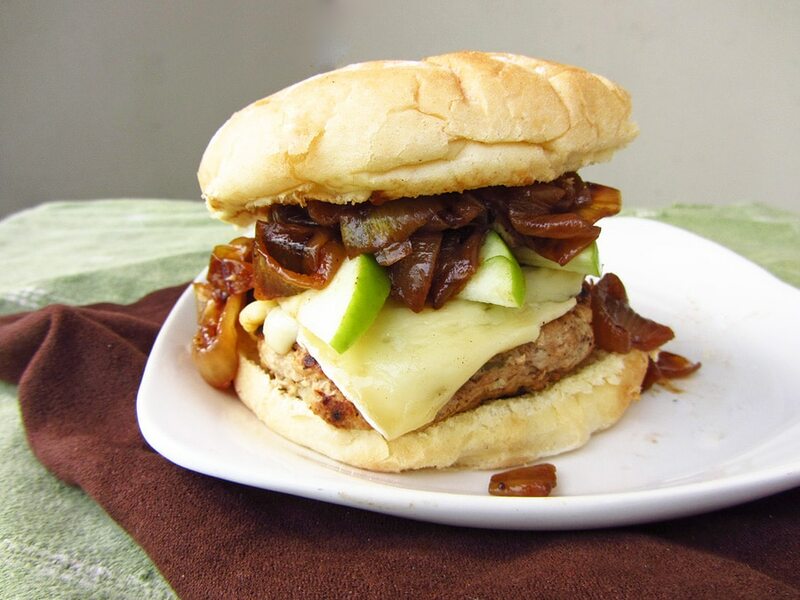 Apple Turkey Burgers with Caramelized Onions and Brie from OnceUponACuttingBoard.com will have everyone oooh’ing and aaahhhh’ing! YUM! 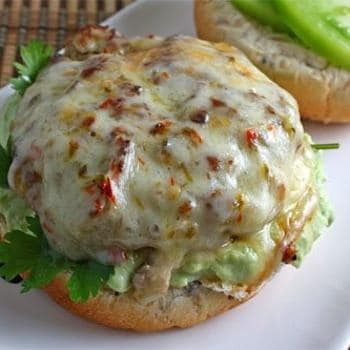 Check out these Cheddar Jalapeno Chicken Burgers with Guacamole from SunnySlideUp.com! I love how these pictures walk you through the steps, but check out the recipe for more details. Those daring ones that you love who like a little spicy kick with their burgers (NOT ME!) will be sure to thank you for thinking of them! 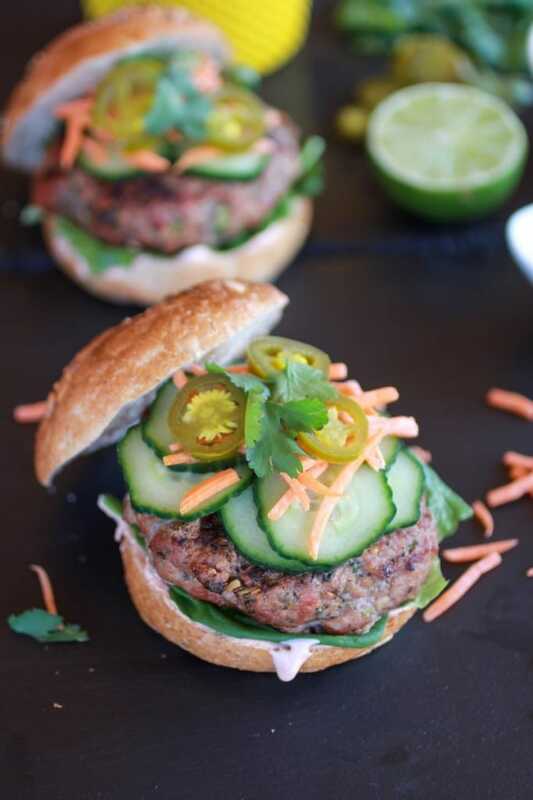 These fun burgers take an awesome Asian-inspired twist and are AMAZING! Found at HalfBakedHarvest.com these will definitely have you coming back for seconds! Now that you have some awesome recipes to start from, the next step is to think about how you’re going to serve this fantastic spread! How about going with the new Gourmet Burger Bar theme for your next cook out?!?! 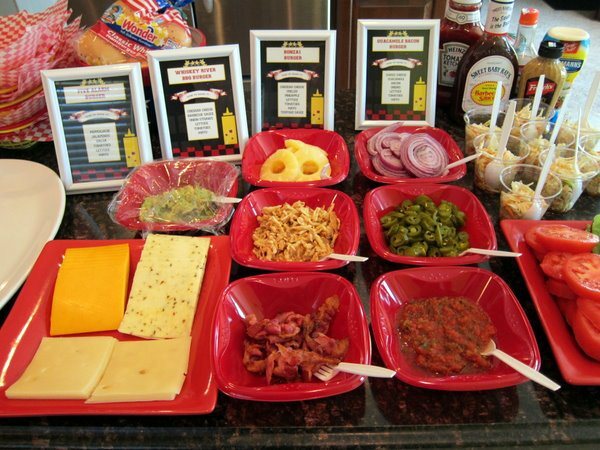 Here is a great article on preparing a Burger Bar at HeartTreeHome.com. 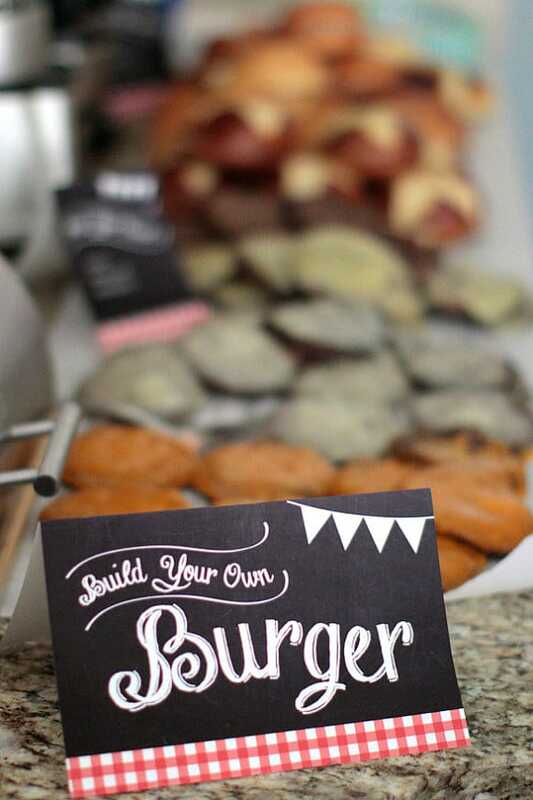 When you plan your Burger Bar, you’re going to need to have some awesome Food Labels to go with it! Check out this find on Etsy.com. What a perfect addition to the event! I don’t know about you, but this has totally inspired me to have a Burger Bar Party sometime SOON this summer with friends and family. Just because July 4th is over doesn’t mean grilling out summer fun is! Yay! Thanks so much for including my gyros burgers in this delicious lineup!